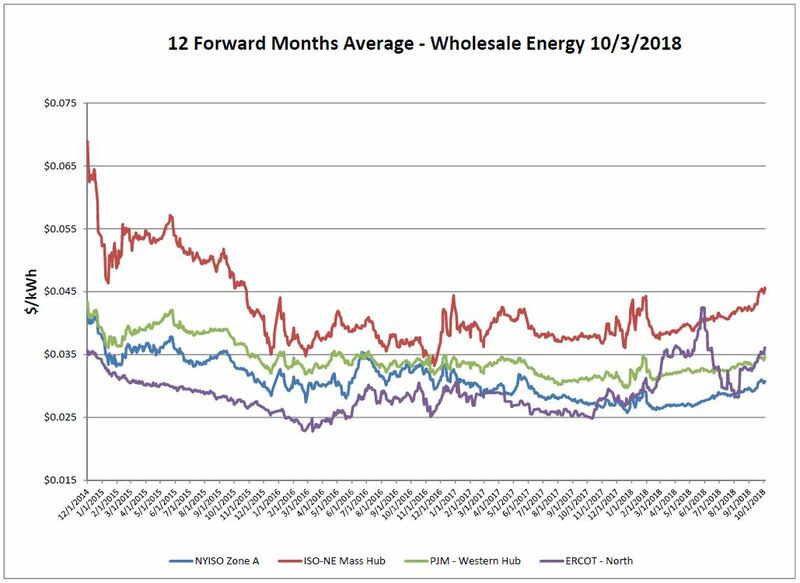 ERCOT has once again risen above PJM pricing and ISO-NE has seen another sharp increase this week. This continued trend can be linked to the underlying cost of natural gas. 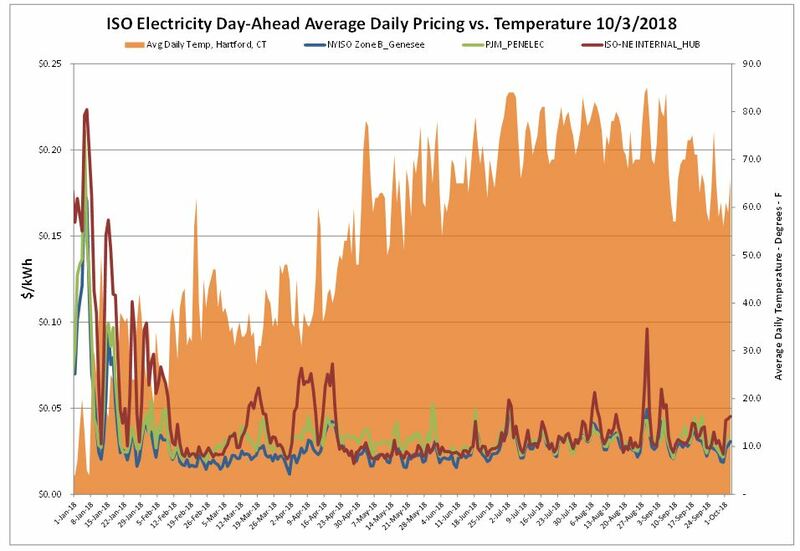 Temperatures continue to trend well above normal for this time of year which has led to continued spikes in electric pricing for New England. The remaining months of 2018 have seen steep upward movement in the past week under pressure from continued forecasts calling for abnormally high autumn temperatures. 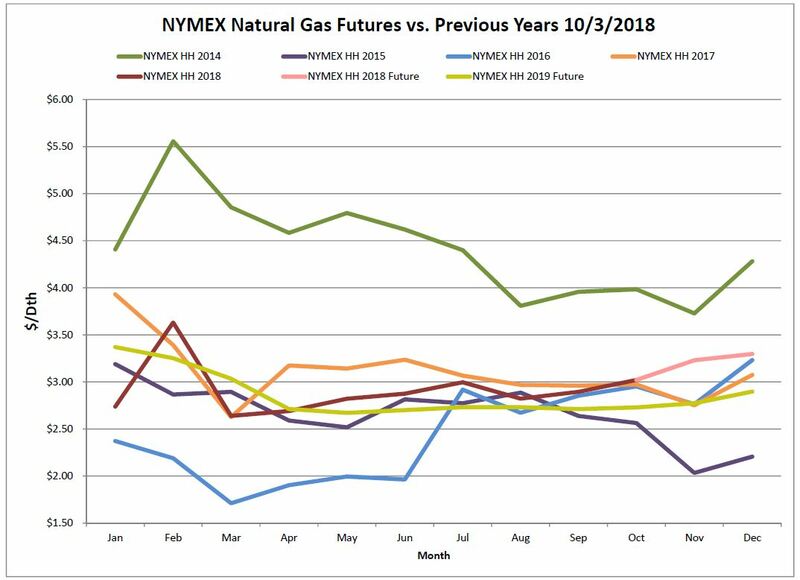 The NYMEX reached its highest level since January 30th last week in a timeframe that is typically the shoulder season where demand and pricing would normally soften. The effects are, so far, isolated to the upcoming winter season and drop off at April 2019 and forward. 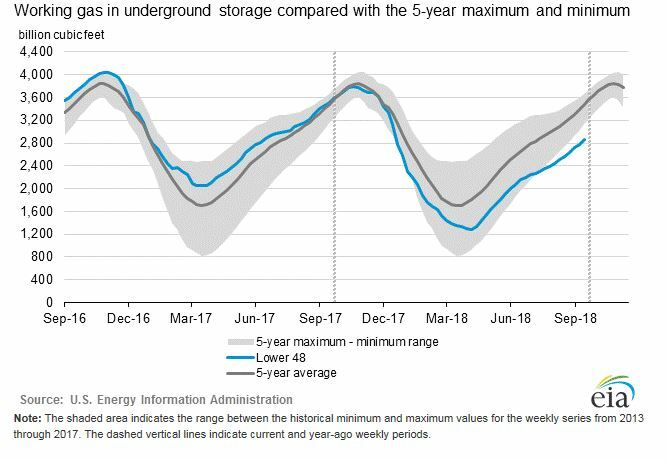 Working gas in storage was 2,866 Bcf as of Friday, September 28, 2018, according to EIA estimates. This represents a net increase of 98 Bcf from the previous week. Stocks were 636 Bcf less than last year at this time and 607 Bcf below the five-year average of 3,473 Bcf. At 2,866 Bcf, total working gas is below the five-year historical range. 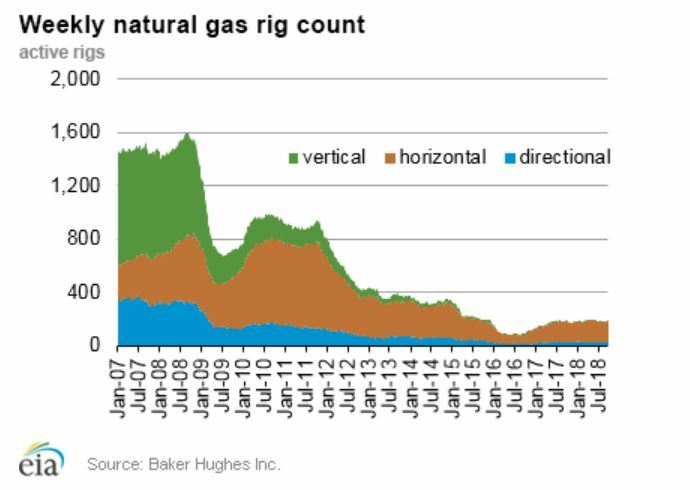 The Baker Hughes exploration gas rig count remained the same this week at 189; this is two more than were in operation at this time one year ago. 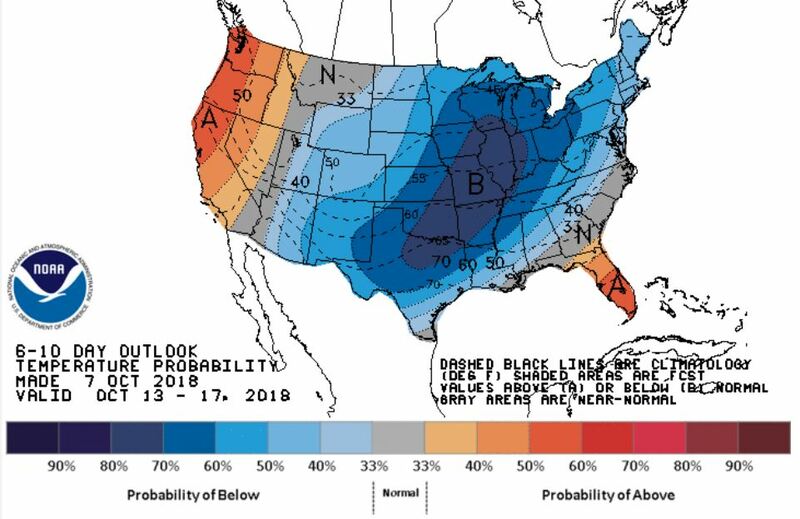 Weather forecasts show cooler than normal temperatures for most of the United States with the highest probability centered between Northern Texas and Illinois. Warmer than normal conditions are expected on the West Coast and Florida. Hurricane Watch- Hurricanes Michael and Sergio. Tropical Storm Leslie. TOWN OF YATES, N.Y. (WIVB) — – It’s the latest move to bring wind turbines to Niagara and Orleans counties.